The Bruery of Placencia, CA has reached their second anniversary as of this posting. Coming out of the gates strong, The Bruery has rapidly expanded into new markets, put beers on the map that nobody has ever dreamt of, and has made quite an impact on the crowded Southern California craft beer scene. We took the time to ask CEO and Founder Patrick Rue questions about hitting the 2 year milestone, response to criticism, expansion and more. If you haven’t tried beer from The Bruery, plan a trip to Disneyland as an excuse to pop in at this Orange County treasure while you are in town. The Full Pint – Looking back on the past two years, what are you most proud of in regards to your brewery and the beers you have been producing? 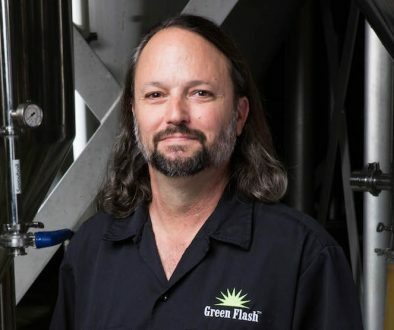 Patrick Rue – I’m most proud of finding a wonderful, talented staff to brew and sell the unique beers we make. I’m also very proud that we have been able to make our mark and sustain ourselves by choosing the path less traveled. TFP – Looking back on the past two years, what is one of the biggest challenges that you faced in the making and selling of craft beer? PR – Breweries are capital intensive– it costs a lot of money to start one, and it costs more to keep it running. Making sure cash flow meets up with our expenditures has been a challenge. TFP – Has The Bruery turned a Profit or close to turning a profit? PR – Depends on the month! TFP – The Bruery has presented itself as a maker of premium priced artisan ale. (When I say premium priced artisinal ale, I am referring to your high alcohol, unique recipe beers in fancy packaging.) How would you compare and contrast yourself to similar breweries such as Lost Abbey and Russian River? PR – Lost Abbey, Russian River, and hundreds of Belgian breweries have proven there is a market for unique, lower production, labor & time intensive beers. Being able to brew anything we want to brew and not worry about how much it is going to cost to produce is a wonderful source of freedom. Our job is to make sure it’s excellent, or it won’t sell. Both breweries have been great role models for us and have been very generous to me with their time and knowledge. Our beers are very different from their beers, but I think we’re all well recognized for the uniqueness of our beers. I’m a huge fan of both breweries– I probably wouldn’t be doing what I’m doing today without them having done it first. TFP – Some of your rare and fancy bottles are going for $20 to $30. You obviously have a high demand for these products, while some heavily criticize that the beer isn’t worth it or shouldn’t be valued at that price. What do you say to those who criticize the prices of your beer? PR – For the cost of materials, the risk involved, and the time it takes us to create these beers compared to our year round and seasonal beers, that’s what we currently need to charge to have it make sense to us. We certainly want to be able to have these special beers available and increasing production will make them more affordable to our customers. I also want to drink them on a regular basis, and that would require making more as well. TFP – Along the same lines as the criticism of some of the prices of your bottles, have been criticism of the fairly new The Bruery Reserve Society. Some of your members and those in other similar clubs have expressed concern of the value of being in this club. Items of contention are how many bottles you get (3) and having to pay admission for Society Member events. (DAN EDIT — I don’t know how accurate that last gripe was, but it was expressed to me). How do you address that, and will there be any tweaks to the 2011 membership? PR – There seems to be a lot of misconceptions in what was included with our Reserve Society. It comes with five limited release beers (2 forthcoming– 2010 Black Tuesday and Barrel Aged Two Turtle Doves), a hoodie sweatshirt, free admission to The Reserve Society Initiation, 15% off all purchases from The Bruery, and reserved access to our special releases. I’ve found the overwhelming majority of our members are very happy with the Reserve Society. There will be some tweaks for next year, but we’re still working on the fine details. TFP – One of your most popular bottle releases to date has been Black Tuesday Imperial Stout. In an ideal setting (more brewing space, more wood barrels) would The Bruery consider making a large enough batch to make the beer more readily available or do you like keeping the limitation and mystique part of the beer’s legacy? PR – We’d like to make more of Black Tuesday, but we’re currently limited by our fermentation capacity. I don’t foresee making enough of it in the next few years to send it into distribution. TFP – We follow you on Facebook and Twitter, and often times we learn The Bruery is trotting the United States, making new friends in new markets. What are your plans for new markets in 2010 and 2011? PR – 2009 was our big year of expansion, and 2010 and 2011 will be spent making enough beer to satisfy those markets. We will be “filling in” some markets, like Central California, parts of Northern California, and parts of Florida, but otherwise we’ll be holding tight on market expansion. TFP – Whenever we visit the tasting room, we see a wide variety of characters on any given trip. We see old and young, beer snobs, beer noobs and in between. What are your thoughts on the crowd you draw at your tasting room? 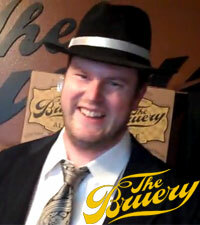 What would you say to someone apprehensive about taking a visit to the Bruery? PR – I love the customers we serve in the tasting room. The demographics are all over the place, which indicates craft beer appeals to a wide audience. I’d tell those who might be apprehensive that “You belong here”, unless you’re under 21 or if you are a recovering alcoholic. TFP – The Bruery has had a very apparent Belgian theme to their beers. 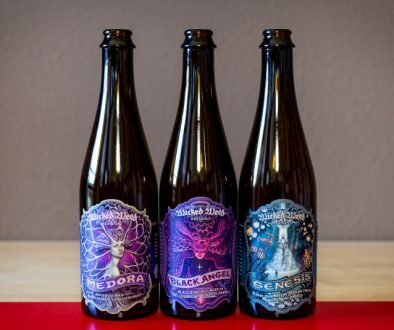 What are the possibilities of The Bruery making traditional German styles or even something close to the hoppy American Ales found in San Diego? PR – The Bruery will continue to brew primarily Belgian-style beers, but we do make a few exceptions. Humulus Lager is a beer I’d like to make a lot more of, and it fits well within the San Diego hoppy beers. We don’t worry too much about sticking to one tradition of brewing, but I don’t see our next distributed year round beer being a German pilsner either, even though I do enjoy them quite a bit. TFP – Part of The Bruery experience is getting your fancy welled champagne bottle of beer and pouring it into a tulip. With that said, has The Bruery ever considered packaging in 12 oz. bottles and selling them in 6 packs? PR – We’ll continue packaging in 750 mL bottles for as long as we’re able to sell the beer that goes into them. I’d like a smaller format when we’re ready to produce high volumes (over 10,000 BBL / year) and hit price points that require less expensive packaging. TFP – Please tell us more about the Bruery Cafe that will be opening up? What types of food, typical price of a plate, guest taps or bottles for sale? PR – We’re currently changing some of our plans for the tasting room, so we’ll let you know when we’re ready to share the details. TFP – What are your thoughts on your Orange County neighbors Bootleggers? Do you think more Orange County craft brewers would help or hurt The Bruery? PR – We have a great relationship with Bootlegger’s. Our beer styles are quite different, and when they overlap it’s usually complimentary rather than competitive. With their tasting room, we often have the same customers come to our tasting room and theirs in the same trip, which is great for our customers and for us. Plus, I love Knuckle Sandwich. 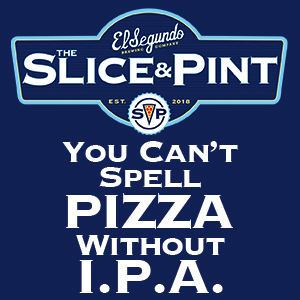 For Orange County to become a beer destination, more great breweries need to open here. I certainly encourage and would like to offer assistance to any brewery that’s looking to open up in Orange County. TFP – Where do you see the Bruery 2 years from now? PR – I see us being a little larger, continually increasing our quality standards and becoming more innovative, but maintaining the same philosophy of making beers with character and depth using the simplest and purest of means. Great interview! The Bruery is popping up more and more in the Boston area, which is great to see for such a small operation with clearly unique offerings. I think once a customer ponies up the cash for their first bottle they’ll never question the price again (Especially if they tuck into their 2 Turtle Doves, sublime). Where the hell is the audio version? You know I can’t read. 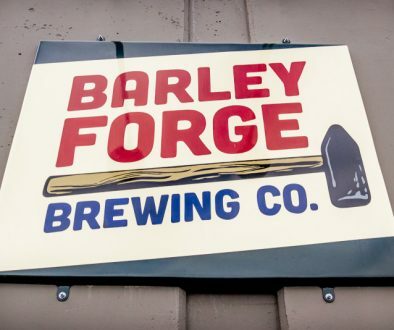 Four Brewers | On Location at Barley Forge Brewing Co.